In an attempt to understand the process of second language acquisition, we are seeking to answer three basic question: (1) what exactly does the L2 learner come to know? (2) how does the learner acquire this knowledge? (3) why are some learners more successful than others? There are no simple answers to these questions. As amatter of fact, there are probably no answers that all second language researchers would agree on completely. In part this is because SLA is highly complex in nature, and in part because scholars studying SLA come from academic disciplines which differe greatly in theory and research methods. Although there is no such a convension for those questions, it is still possible to find a synthesis among disciplines. The disciplines that search for answers of those questions are linguistics, psychological, and social science. Every discipline has its own emphasis which is different among three questions. Therefore, this short summary will examine each perspective and find the synthesis of all disciplines. Linguistics, psychological, and social perspective on SLA have each tended to focus primarily on one question over the others. These disciplinary perspectives are listed below on the table. There are significant differences of opinion within each perspective as well as between them, depending on subdisciplinary orientations. Still, it is possible at this stage in the development of SLA theory and research to report some answers to our questions with considerable confidence. For others, we should remain more tentative. I will integrate findings from the three perspectives as much as possible, but I give greatest weight to linguistic contributions in answer to what, to psychological contributions in answer to how, and to social contributions in answer to why. What exactly does the L2 Learner come to know? A system of knowledge about a second language which goes well beyond what could possibly have been taught. There is significant overlap with first language knowledge, especially (1) in underlying rules or principles that languages have in common and (2) in the potentials of language to make meaning. However, nor is it ever exactly the same as that of its native speakers. 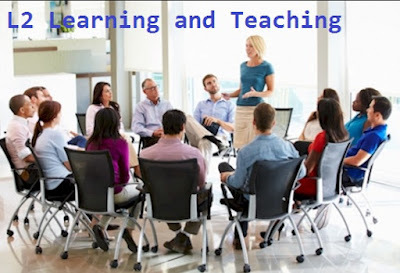 Patterns of recurrent elements that comprise components of L2-specific knowledge: vocabulary (lexicon), morphology (word structure), phonology (sound system), syntax (grammar), and discourse (ways to connect sentences and organize information). How to encode particular concepts on the L2, including grammatical notions of time, number of referents, and the semantic role of elements (e.g. whether subject of object). Pragmatic competence, or knowledge of how to interpret and convey meaning in contexts of social interaction. Means for using the L2 in communicative activities: listening, speaking, reading, writing. How to select among multiple language systems, and how to switch between languages in particular social contexts and for particular purposes. Communicative competence: all of the above, plus social and cultural knowledge required for appropriate use and interpretation of L2 forms. A basic disagreement among different linguistic perspectives comes in considering whether the system of knowledge about a second language is primarily (1) an abstract system of underlying rules of principles, (2) a system of linguistic patterns and structures, or (3) a means of structuring information and a system of communication. This disagreement stems from different assumptions about the nature of language and language study that arise from different theoretical approaches. However, it is assumed that the differences are the result of different points of view. As a matter of fact, they complement one another and and all are needed to gain a full-spectrum picture of the multidimensional nature of SLA. How does the learner acquire L2 knowledge? Innate capacity. While there is disagreement over whether capacity for language learning is basically different from learning any other complex domain of knowledge, it is clear that some innate capacity must be posited to account for learning. Application of prior knowledge. The initial state of L2 includes knowledge of L1 (and language in general), and the processes of SLA include interpretation of the new language in terms of that knowledge. Processing of language input. The critical need for L2 input in SLA is agreed on, although its roles in acquisition receive differential definition and weight in accounts from alternative perspectives and orientations. Interaction. processing of L2 input in interactional situations is facilitative, and some think also causativ, of SLA. Restructuring of the L2 knowledge system. SLA occurs progressively through a series of systematic stages. Development of L2 knowledge does not manifest itself in a smooth cline of linguistic performance, but rather in one which sometimes shows abrupt changes in the interlanguage system. Mapping of relationgships or associations between linguistic functions and forms. L2 acquisition (like L1 acquisition) involves increasing reliance of grammatical structure and reduced reliance on context and lexical items. Automatization. While simplistic notions of habit formation are no longer accepted as explanations for language acquisition , frequency of input as wll as practice in processing input and output are widely recognized determinants of L2 development. A basic disagreement within both psychological and linguistic perspectives comes in considering language learning as primarily a process of acquiring (1) language-specific systems of rules, (2) very general principles with options to be selected, or (3) increasing strength of associations between linguistic forms and meaning. Again, this disagreement derives from very basic differences in theoretical orientations and is not likely to be resolved. Why are some learners more succesful than others? Social context. Features of social context which affect degree of success include the status of L1 and L2, boundary and identity factors within and between the L1 and L2 speech communities, and institutional forces and constraints. Social experience. Quantity and quality of L2 input and interaction are determined by social experience. Relationship of L1 and L2. The more L1 has similarities with L2, the easier it is acquired. Age. There is belief that children are more succesful L2 learners than adults, but the evidence for this is equivocal. Aptitude. We may conclude that aptitude is an important predictor of differential success in L2 learning, but it is not deterministic. Motivation. Motivation largely determines the level of effort which learners expend at various stages in their L2 developmnet, and it is often a key to ultimate level of proficiency. Instruction. Quality of instruction clearly makes a difference in formal contexts of L2 learning. Basic disagreement remains in the definition of relative success in L2 learning. Without a general convension among disciplines, it is difficult to define the criteria of success for SLA, since each discipline offers their own perspective which is quite different each other. The judgement that L2 learners have approached or achieved “near-native” or “native-like” competence means that there is little or no predictable difference between their language performance and that of native speakers. It is obvious that one’s L2 system is never exactly the same as the native speaker’s. Pronunciation, especially if L2 learning began after the age of twelve or so. However, it is also possible for some to master natives’ competence but with very rare exeptions. All of the above descriptions can be our consideration to build a methodology for language learning and teaching. Although we cannot control and accommodate the whole concepts of SLA, we can underline and take some important things to consider in language teaching and learning. Therefore, the general guidelines for L2 learning and teaching below will be useful for us. Recognize achievement in incremental progress. And be patient. Learning a language takes time.